Is there an ideal meal frequency for weight loss? According to lots of people nibbling on 5 or 6 small meals per day keeps their metabolism high and aids weight loss. On the other hand, many individuals believe eating just 1-3 meals per day is a better way to drop excess body weight. The aim of this article is to delve into the science behind meal patterns to see if any evidence exists to support the idea that small frequent meals boost metabolism or lead to greater weight loss. Each of these studies tell the same story; total calorie intake is what determines weight loss or gain not meal frequency. So, when your total calorie intake is matched it doesn’t matter if you eat 6 small meals per day or gorge on just 1 or 2 – your metabolism and weight loss will be virtually the same! The truth is there’s no such thing as a one-size-fits-all diet for weight loss or optimal health. 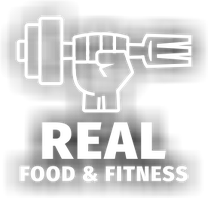 In practical terms the “best” meal frequency is the one you find sustainable and easily fits into your lifestyle. Some people find eating fewer meals is easy to follow and more effective for weight loss whilst others prefer to graze throughout the day, the reality is there are advantages and disadvantages to each approach. My advice is to play around with the number of meals you eat per day and find what works best for you. • Reduced food preparation and cooking time. • Arriving at the table with a healthy appetite can increase your enjoyment of food. • Eating fewer meals limits the number of occasions to overeat. This can be an effective strategy if you tend to overeat and like to feel a full stomach after eating. • Autophagy – a cellular process where dead and damaged cells are cleaned up occurs when you go many hours without eating. If you’d like to reduce the amount of time you spend preparing and cooking foods or struggle with portion control at meal times - eating 1-3 meals per day could be a great strategy for you. Eating little and often is a good approach if you don’t enjoy eating large meals or suffer with digestive issues. Increased meal frequency supports maximal muscle growth via increased protein feedings and muscle protein synthesis. Diabetics and pregnant females may need to eat little and often to support their blood sugar and nutritional needs. If you like to eat little and often you can continue to do so. Unless you find snacking in-between meals triggers further eating through the day and increases your total calorie intake there’s no reason to reduce your meal frequency. There’s no right or wrong answer to how many meals you eat per day but research does suggest that irregular eating frequencies lead to lower post meal energy expenditure compared with a regular meal pattern and could contribute to long term weight gain . The take home message here is once you pick a meal frequency its best to stick with it to support a healthy metabolism! It’s a myth that eating little and often boosts your metabolism, the number of meals you consume per day should come down to personal preference. Eating 3 or less meals per day is great strategy if you are very busy, have a history of overeating or a tendency to enjoy a fully stretched stomach at meals because it limits opportunities for overeating. Conversely, eating many small meals per day could work for you if you enjoy smaller meals or struggle to digest larger meals. The key point to remember is this; so long as your total calories are matched you can eat as many or as few meals per day as you like! 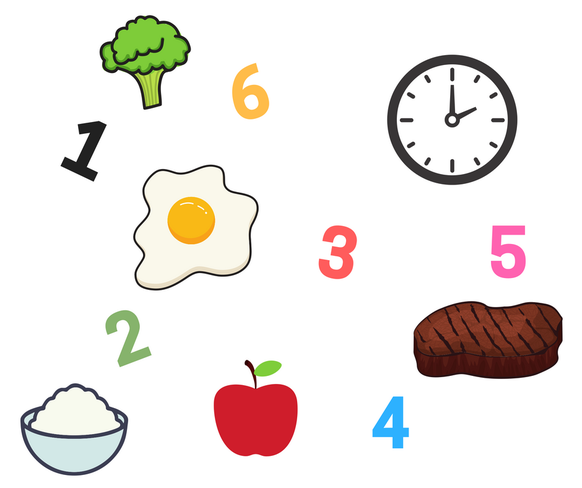 What’s the ideal meal frequency for weight loss? There isn’t one! As always, I hope you found this info helpful.